I wanted to get this post up earlier, but had some distractions going on here today. 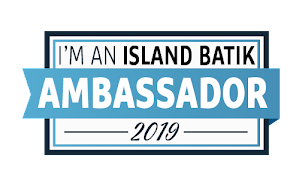 So better late than never, I wanted to make the official announcement that I am one of the 2019 Island Batik Ambassadors! I can't wait to start my new projects using all of these wonderful fabrics! And what an awesome surprise to receive the Ready Set GO! cutting system from Accuquilt - I've already put it to use in making my first project for Project Quilting and I know I am going to be using this a lot this year. So much wonderful batting from Hobbs, and thread from Aurifil as well - what a great way to start out 2019! I am definitely feeling spoiled and very thankful! In all there are 50 Island Batik Ambassadors for 2019, and we are located all around the world! There are some new, and many from last year, so you can look forward to lots of awesome projects this year. 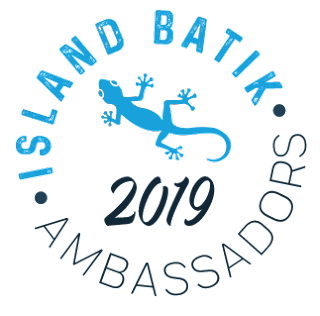 You can see the list of Ambassadors on the tab at the top of my page, and check out the announcement on the Island Batik Blog. 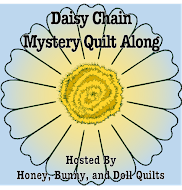 - I'm not quite ready yet, but I am scheduling that for Friday - I hope you'll join in! In the meantime, here's a look at what I woke up to this morning. Winter decided to come to visit! Great video...your much braver than I am. LOL!! This is going to be a fabulous year and I'm looking forward to seeing your creations! What an eventful year - 1000 blog posts - WOW! It will be so much fun doing another year as an ambassador with you! How fun to see your excitement. Can't wait to see what you create!